Bottom Lines Leveled by Commodity Price Declines Mining companies reported a $37.6 billion after-tax loss in Q1 2015, according to the Census Bureau’s Quarterly Financial Report (top chart). This was even more significant than the losses seen in the depths of the prior recession, and comes on the heels of an after-tax loss of $16.3 billion in Q4 2014. Net sales fell 26 percent from a year earlier to $69.3 billion, the lowest quarterly reading in nearly four years. 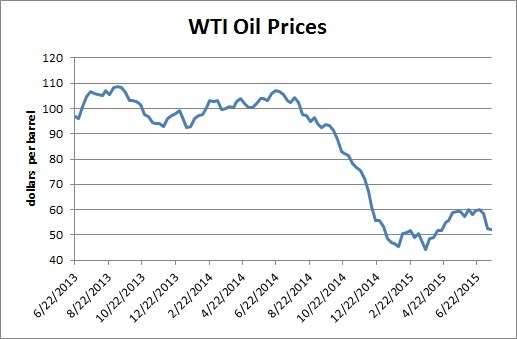 While we expect a gradual stabilization in oil prices in the coming quarters will make future losses for the sector less dramatic, a return to the heady pace of profit growth seen in prior years does not seem likely in the near future. Primary metals also fell into the red in the prior two quarters, recording back-to-back after-tax losses of $1.1 billion. Margins in this sector were likely hit by the sizable decline in prices for most industrial metals, which has largely been overshadowed by the collapse in oil prices. Bloomberg’s industrial metals index is down more than 25 percent since last summer. Spending on nonresidential construction projects will increase by nearly 9% in 2015 and by 8.2% next year, according to a compilation of the predictions of seven leading construction forecasters. The American Institute of Architects’ semi-annual Consensus Construction Forecast showed Wednesday that building of offices and hotels is leading the commercial construction industry to a strong finish to 2015. Spending on nonresidential buildings is expected to reach nearly $360 billion this year and $390 billion in 2016, AIA Chief Economist Kermit Baker said in a release. In “the foreseeable future,” he added, demand for building of healthcare and education facilities will further boost construction spending. Currently, the short-term outlook for the stainless steel market is mixed as demand varies by sector. For example, sales to the automotive supply chain are quite buoyant but investment in the oil industry is very depressed, as it has been since commodity oil values started to fall, last year. 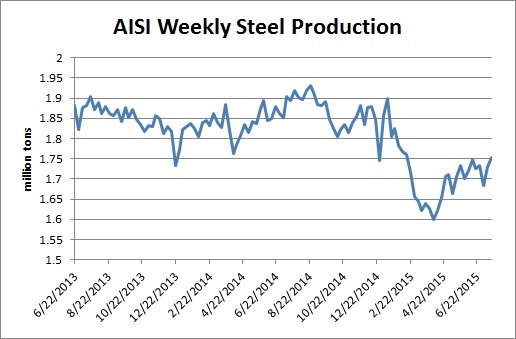 Activity in other stainless steel-consuming segments is patchy, with geographical pockets of optimism dotted around the world. European stainless steel strip mills have rapidly-filling rolling schedules. Delivery lead times are stretching and there are murmurs of possible short supply in the autumn. Producers have achieved small basis price increases, this month, and further increments are mooted. However, these minor adjustments are almost insignificant in the light of the much larger fluctuations in alloy surcharges. After falling in the previous month, a short-lived recovery in LME nickel values in late April and early May resulted in alloy extras for grade 304 material climbing again for June. The nickel commodity price has been on a downward trend again in recent weeks. Many market observers predicted rising nickel values, this year, with the long-standing global supply surplus finally turning to a deficit. The main driver for this was expected to be China’s increasing demand for refined nickel, as that country’s stainless steel production continued to expand. Meanwhile, its supply of nickel pig iron (NPI) would be restricted by Indonesia’s ban on the export of laterite ores. In reality, China’s output growth has decreased, in 2015, and the depletion of its Indonesian ore stocks has been slowed by blending, in the NPI production process, with inferior ore from the Philippines. Nevertheless, nickel miners continue to forecast the emergence of a deficit in supply in the short-to-medium term. 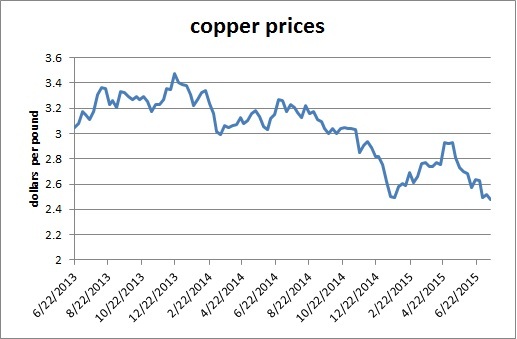 This would result in a modest upward trend in nickel values during the coming twelve months. 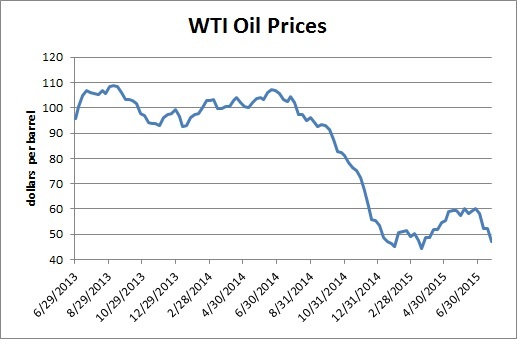 Oil prices down and just over $50 a barrel. Steel production showing stable and possible slow recovery. 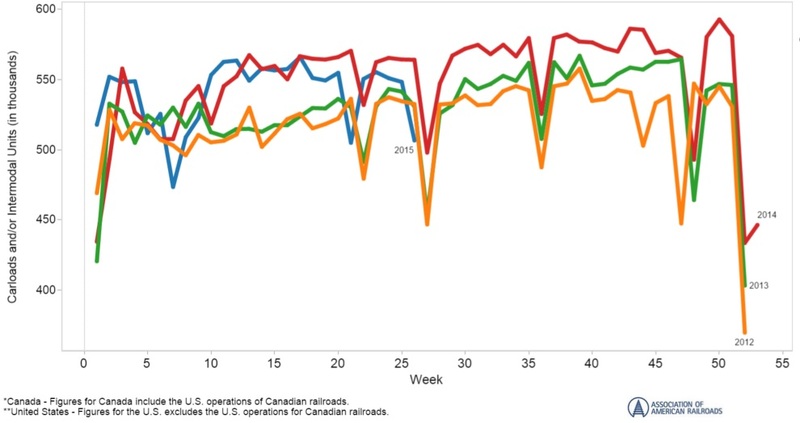 Rail loadings down a little.